Zack pushed back in his chair and stole a glance at his watch. 1:30. His lunch lay half eaten on his desk. A new volunteer, Karey was on hold, waiting for Zack’s decision on which volunteer would mentor her and what day she could start. Several new emails pinged on his screen. Task force volunteers needed an update on the choice of meeting spaces. In front of him, Nadia, the event coordinator was pointing to the unfilled volunteer slots at the Walk-a-thon this coming weekend. Decisions. 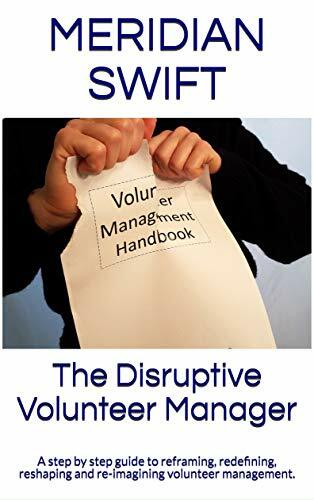 Volunteer managers are faced with making hundreds, maybe thousands of decisions a day. Think I’m exaggerating? Let’s look at a simple request for a volunteer to fill a task and a sampling of the decisions involved. What volunteers are best suited for this request? What is the best time to call volunteers? What recent activities has each volunteer I call been involved in and how can I acknowledge that? How should I answer this email and get my point across? What tactic should I use when asking for more time finding volunteers for a hard to fill task? What methods should I use when mediating the brewing dispute between a volunteer and a staff member? What questions can I ask on the upcoming survey? Decision fatigue occurs when the brain has made so many decisions that fatigue sets in, causing a breakdown in ability to make new decisions, or making snap decisions, or a lack of self-control and diminished willpower. It leads to poor decision-making. Decision fatigue can show itself with an irritated voice or a curt answer. It can show itself with “giving in” instead of standing ground for principles you believe in. It can show itself with forgetfulness or shutting down. It can show itself when you finally go home and can’t decide what to make for dinner so you order something unhealthy from that expensive take out place down the road because it’s the easiest thing to do. You’ll see I wear only gray or blue suits. I’m trying to pare down decisions. I don’t want to make decisions about what I’m eating or wearing. Because I have too many other decisions to make. Beyond filling volunteer tasks, a volunteer manager’s day is fraught with other carefully considered decisions. Make the important decisions first thing: Before fatigue sets in and while your mind is clear, make your most important decisions early and stick to your decisions. Our minds are equipped to think more clearly and rationally before fatigue sets in so work on your most important projects or challenges when you first arrive. Do you have to counsel a volunteer? Do you have a yearly event? Do you have to give an important report? Work on those tasks first, set a deadline for your decisions and stick to them. Limit your decisions: Lay out your work clothes the night before work. Prepare your lunch or decide where you will have lunch the night before. Decide your 5 goals for the next day the night before. Put off making major decisions when you feel yourself losing willpower. There is nothing wrong with telling people you have to think about something and get back with them. 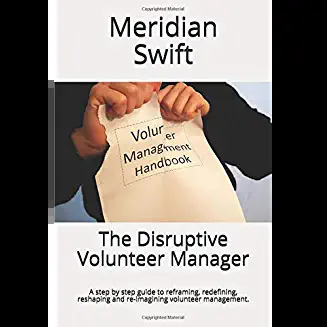 Realize decisions will not all be perfect ones: Volunteer managers tend to hold themselves to a pretty impossible perfection standard, thinking that every decision must be the optimal one. This unrealistic standard creates paralysis when making decisions, slows down productivity and increases fatigue. Major decisions need time, but lesser decisions can be made more quickly and efficiently. Remember, after mulling over option upon option, we can still make an imperfect decision, so it’s best to leave the agonizing to major decisions. Carve out quiet time: Ideally, find an isolated space to work on projects. If you don’t have one, turn your computer monitor to the wall, turn the volume down, let the answering system pick up phone calls and work on your “need to do” list. One hour disconnected from the chaos will reap enormous benefits in not only making better decisions, but in your overall mental health. Two hours would be even better. Become a by-appointment office: It’s hard to do when you have an open door policy, but you can slowly begin to change that. Hang signs on your door that keep people from dropping in with questions or information that can wait. Signs that indicate “volunteer interview in progress,” or “volunteer strategy meeting in progress,” clearly announces that you must focus on the crucial task at hand. Having to make a major decision while constantly being interrupted with having to make smaller, snap decisions wears you down. It creates decision fatigue and robs you of any ability to make a good decision. If you find yourself continually putting off big projects, it’s a good sign that you suffer from decision fatigue and probably the effects of a chaotic office. Pare down the upfront work and utilize volunteer brains: For projects needing research, input from volunteers etc., ask volunteers to help you by completing the research or polling the volunteers. They can even assist by presenting you with decision options and their recommendations for best choices. People who love us will tell us to take care of ourselves. They’re right. We need to take care of ourselves mentally and physically if we truly wish to create a successful volunteer program.